ITS provides the full spectrum of IT Support to the 27th SOF Medical Group with a special focus on their medical specific IT systems. 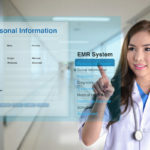 We maintain connectivity to the Defense Health Information Management System (DHIMS), ensuring operation of the Electronic Health Record (EHR) and the Armed Forces Health Longitudinal Technology Application (AFHLTA). In addition to the general IT Support services for these unique systems, we also maintain expertise in and provide training to government personnel on operation of the systems. As technology changes, we also provide architecture planning support to address obsolescence and upgrades as well as plan and implement the approved project recommendations. Finally we provide support as the Medical Community of Interest (MedCOI) network is stood up. We support these and other medical applications as they are migrated to the new, healthcare network.